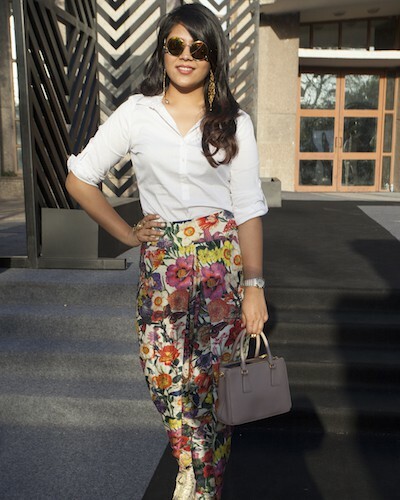 Chikki Pandey makes a fashion statement on Day 3 of Amazon India Fashion Week in an interesting outfit. 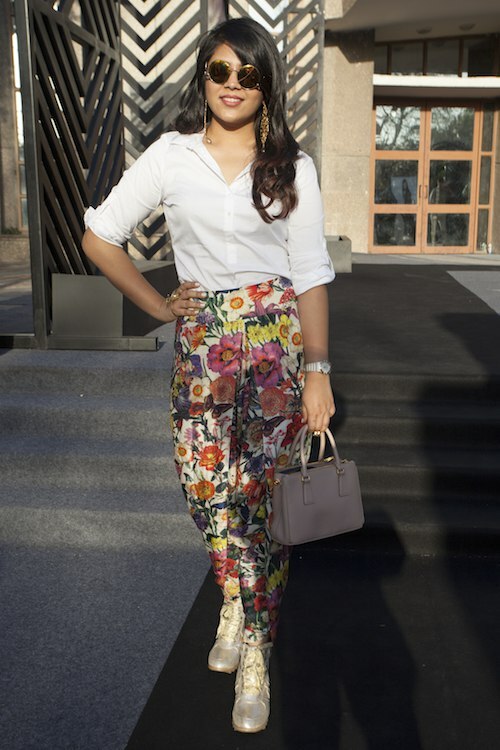 She styled a basic white shirt with a pair of pleated floral trousers with some kicks! We love the accessories, including those super cool vintage reflectors. For more street style from POPxo, check out our fabulous Instagram feed!